Terrorist attacks are probably among the most merciless, most cowardly acts that can be employed. It is the intentional involvement and killing of innocent civilians, who are given no chance to respond. Its sole purpose is to use pure bloodshed to make an evil statement. The attacks on Paris that happened Friday night are terrible, and it is warming to see the French people and the rest of the world unite to stand up to the massacre of nearly 130 people in the French capital. As is expressed with the use of the hashtag #PrayforParis, people all over the world have come out in their condemnation of the attacks on innocent civilians. It seems that terrorism has occurred with greater frequency in recent years. It was not so long ago that the Charlie Hebdo headquarters were attacked in France. Just a few months ago, Bangkok itself was attacked with a bombing at one of its busiest junctions. And every time that it happens, the results are the same: tragic scenes of people dying and buildings ruined. However, even as emotions are running high, France and its Western allies must navigate the waters carefully. President Francoise Hollande, who was at the stadium where one of the attacks happened, has already blamed the Islamic State for the attacks and declared that he considers the attacks an “act of war” which deserved a response “which will be pitiless”. This rhetoric seems to suggest that France is willing to escalate its involvement in the campaign against the Islamic State in Syria and Iraq. In fact, it is possible that it may go as far as to invoke Article 5 of the NATO constitution, which if approved would then mark the start of a military campaign. (Article 5 has only been invoked once, after the 9/11 attacks). This escalation would be extremely dangerous, especially considering the fact that Russia is already involved in the region and the situation is very fragile, and could lead to much greater bloodshed. We also know that fighting terrorists is not like fighting conventional campaigns, as the United States learned the hard way in its own wars in the Middle East. France must plan its response carefully. 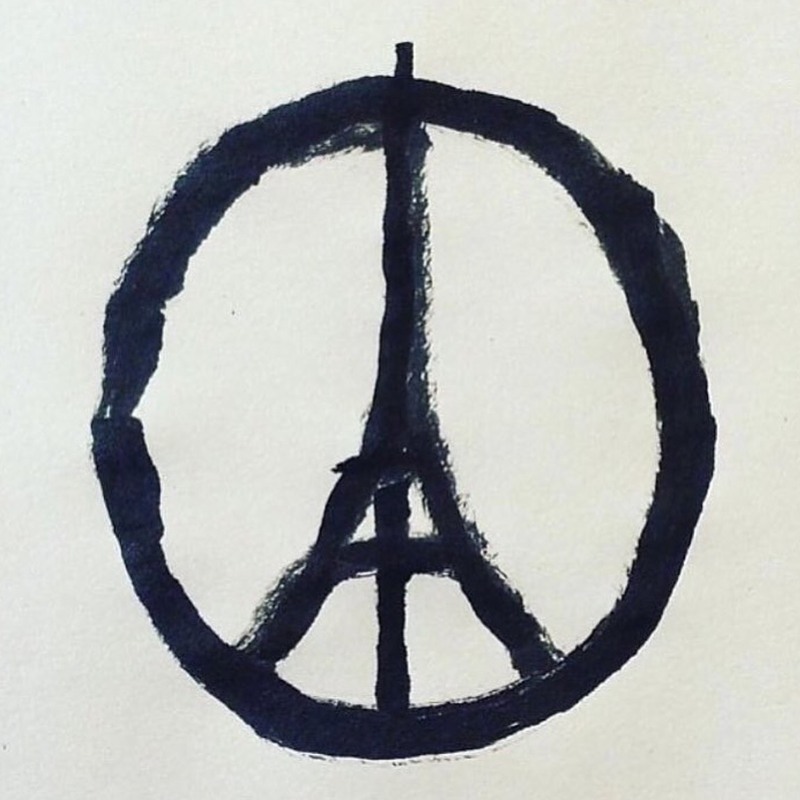 But for now, let us mourn for those who passed away, and express our solidarity with France in this moment of tragedy. 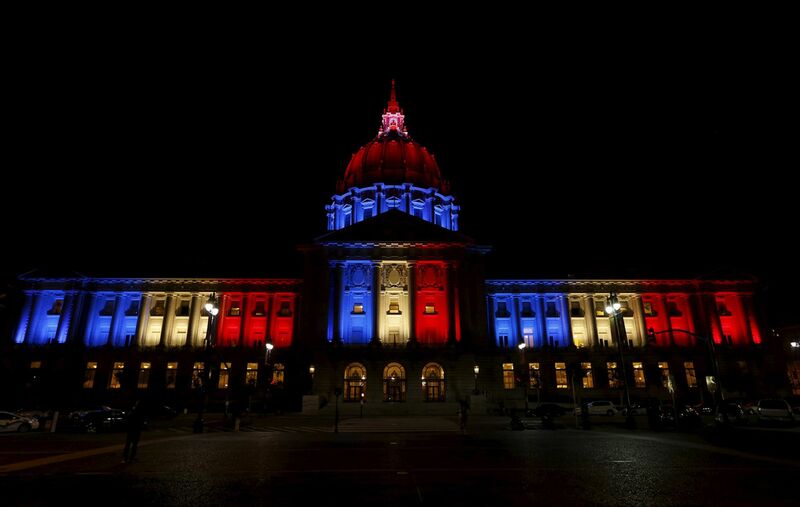 San Francisco City Hall, which was lit up in the tricolour to express solidarity with France.